The Outback, Subaru's top-selling model in the U.S. and one of its oldest nameplates, will be redesigned and re-engineered for 2020 on the company's new Global Platform. For the second consecutive year, Subaru Corp. is unwrapping an important redesigned vehicle at the New York auto show. The automaker on Wednesday said it will introduce the redesigned 2020 Outback crossover April 17 in New York. The Outback, Subaru's top-selling model in the U.S. and one of its oldest nameplates, competes in the increasingly crowded midsize crossover segment, which is down 3.8 percent through March, according to the Automotive News Data Center. The Outback is the best-seller in the segment through March, leading the Honda Pilot, Ford Edge and Hyundai Santa Fe, among others, including two resurrected nameplates, the Honda Passport and the Chevrolet Blazer. In a teaser photo Subaru released Wednesday, the redesigned Outback is shown parked with a scenic backdrop. A decent amount of the vehicle is visible, including a portion of the headlight, wheels, lower body cladding and what appears to be a cargo basket on the roof, likely a nod to Subaru customers' outdoorsy ethos. Subaru later posted a photo on Facebook of the vehicle's interior, which appears to mirror the changes found in the redesigned 2020 Legacy sedan, which debuted at the Chicago auto show in February. 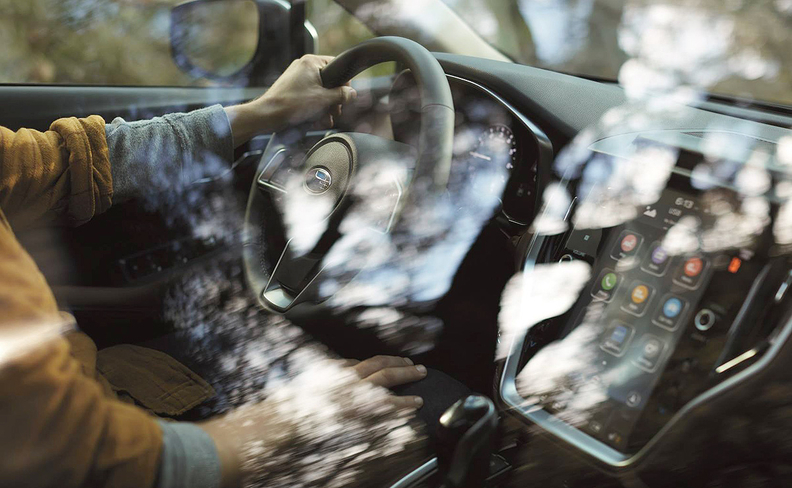 The highlight of the Legacy's revamped interior is a new 11.6-inch touch-screen infotainment system. 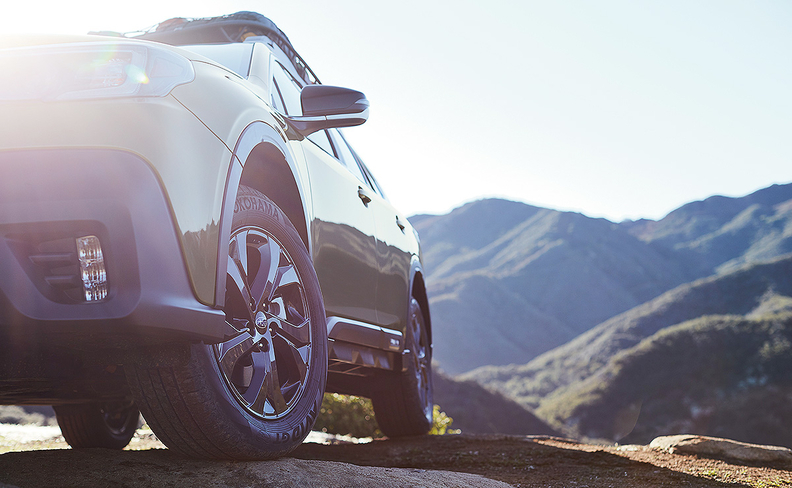 The Outback will be the latest Subaru model redesigned and engineered onto the brand's Global Platform, following the Legacy and the Forester, which debuted at the New York show last year. Last month, the Outback accounted for 30.1 percent of Subaru of America's sales. Through March, Subaru sold 41,808 Outbacks, down 5.2 percent from the year-earlier period. U.S. sales of the Outback dropped 5.3 percent last year to 178,854.